Forex traders must rely on price action to determine a trading strategy. Foreign exchange currency trading (Forex) presents an investor with unique challenges. Unlike the New York Stock Exchange or Nasdaq, there is no formal exchange. Forex traders buy and sell currency pairs through their online Forex broker. The Forex broker often takes the opposite side of the trade. Forex brokers operate independently of each other and set their own bid and ask prices. Without a centralized exchange, technical indicators such as price are not very useful. Forex traders must know how to read the price information displayed on the currency pairs chart. Select a currency pair based on your trading style. 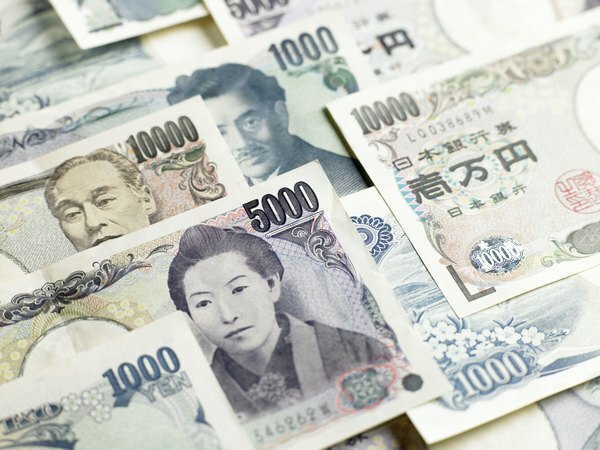 If you want a currency pair that makes clear chart patterns, you might select the GBP/JPY (British pound sterling/Japanese yen) or the GBP/USD (British pound sterling/U.S. dollar) currency pairs. Traders who want to scalp small currency price moves might prefer trading the EUR/CHF (Euro dollar/Swiss franc) or the AUD/NZD (Australian dollar/New Zealand dollar) currency pairs. Select a trading time frame that fits your currency pairs price behavior. For example, scalpers trading the EUR/CHF will use a one-minute or five-minute chart. Investors who trade off price patterns will need a longer time frame such as an hour or two-hour chart. Choose Japanese candlesticks to give you an instant picture of your currency pairs price action. Each candlestick contains all the price information you need to know based on your time frame. For example, a candlestick on a one-minute chart will show the open, close, high and low prices for that particular minute. On an hour chart, it tells you the open, close, high and low prices for the entire hour. Draw your support and resistance lines. The support line is drawn underneath the low prices and the resistance line is drawn above the high prices. Analyze the price action. If the lines are moving up, your currency pair is in an uptrend. If the lines are heading down, your currency pair is in a downtrend. If the lines are horizontal to each other, your currency pair is range bound. Use the price action to determine your trading strategy. For example, if your currency pair is in an uptrend, you might want to buy the currency pair. If the currency pair is in a downtrend, consider selling the currency pair. Use other technical indicators such as stochastic and the Moving Average Convergence-Divergence to help you analyze the price action. Do not trade if the market is choppy. No one ever lost money waiting on the sidelines for a good trading opportunity to emerge. Trading Markets: How is Trading Forex Different from Trading Stocks? Alexander Collins: Forex Time Frames: Pros and Cons & What is the Best One to Trade?